Made from chromed tanned leather, this stylish quiver is perfect for Traditional Archery or Medieval Re-enactments. 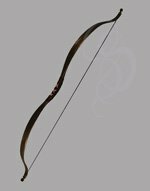 You can use this quiver to hold your LARP arrows or Tradtional Medieval arrows, the depth works well for either kind. 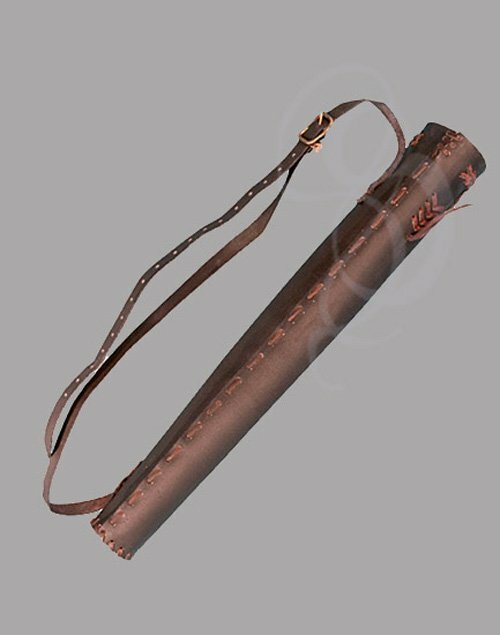 This leather quiver has a shoulder strap and is meant to be worn on the back. The quiver is held together by lacing, not rivets. The lacing gives a nice rustic look.